I served this beautiful semifreddo at the gathering of my book club last week. 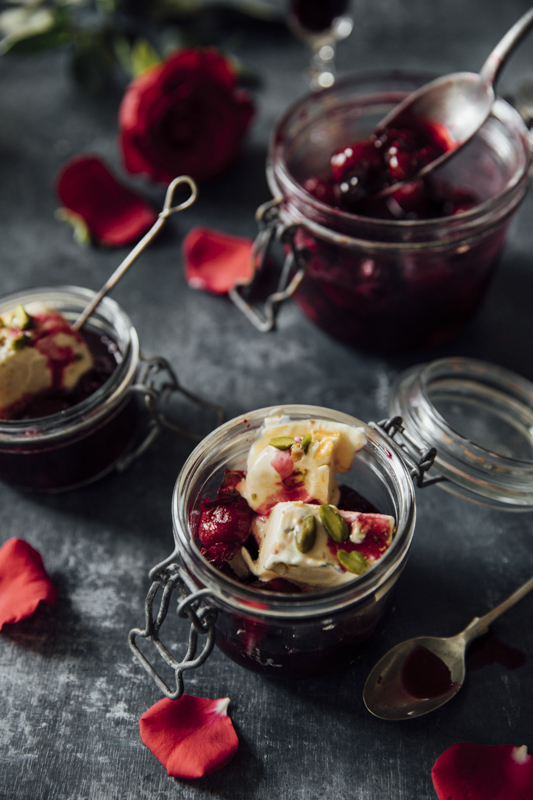 As we talked our way through Hilary Mantel's intriguing book 'Giving up the Ghost' we had our mouths shocked by the cold but delighted by the fabulous flavour and texture of this gorgeous recipe. I adapted it from Jack Monroe's recipe in Cook for Syria, substituting most of the cream for thick Greek yogurt (2% fat) and reducing the sugar because the orange juice is really sweet. This is a forgiving recipe and does not require much skill to make. The combination of sweet, tangy orange juice, nutty flavoured tahini and crunchy pistachios set against the creaminess of enriched Greek Yogurt is a winner. If all the ingredients are mixed well together and given enough time to freeze the recipe will taste delicious not matter what order you assemble them in.. 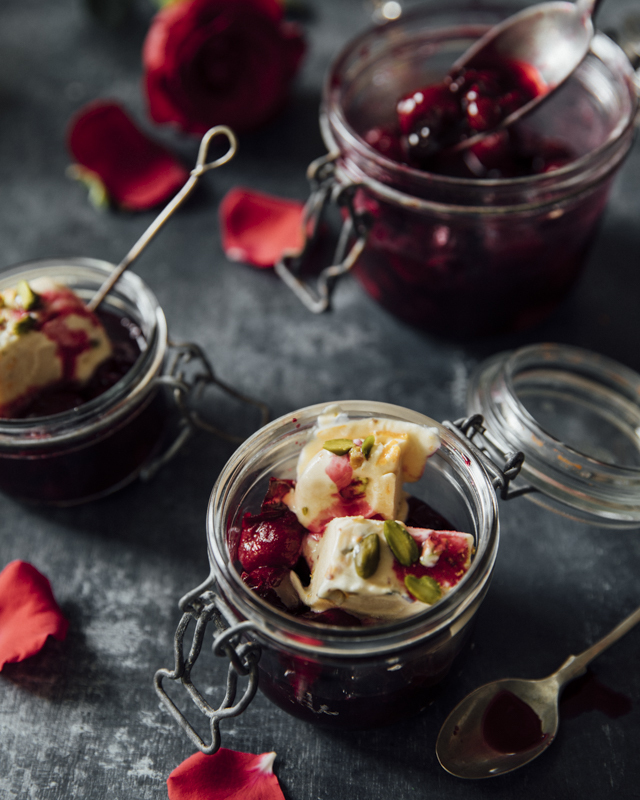 I have served it here with the most beautiful, damsons which add to the beauty and punch of this recipe. It is a winner. Line a large loaf tin with a double layer of Clingfilm. This will make turning out the frozen semifreddo easier. 2. Add the orange zest, half of the orange juice and tahini to the egg and sugar and mix well. 3. Beat the double cream until stiff, fold in the Greek yogurt and then stir both into the egg, sugar and tahini mixture. Mix in the remaining orange juice and crushed pistachios. The mixture will be quite runny but don't worry about that..
4. Pour the mixture into the loaf tin lined with Clingfilm. Give the loaf tin a little bang on a solid work surface to rid it of air bubbles and place the semifreddo in the freezer for at least four hours. 6. Turn the frozen semifreddo upside-down onto a serving plate and remove the clingflim. 7. Sprinkle with the remaining crushed pistachios and serve.